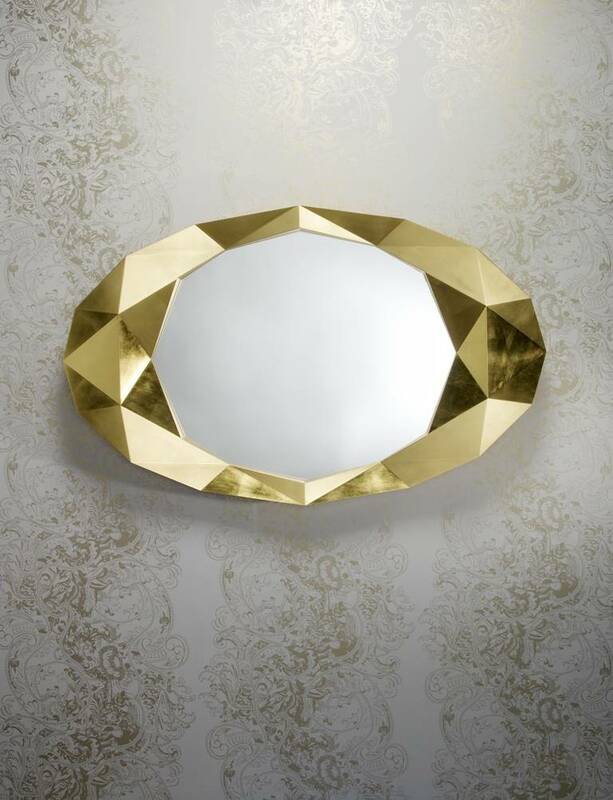 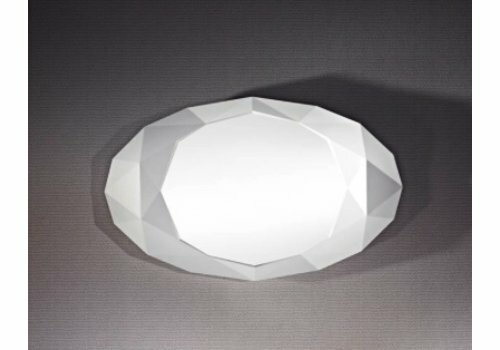 A striking design and functional wall mirror in one, 'Precious' is an jewel-like oval wall mirror with a gem-faceted frame in gold, silver or white. 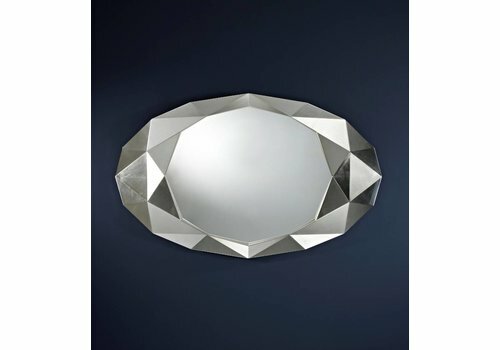 Jewelry for your home! 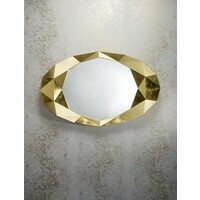 Precious is a strikingly designed wall mirror made of glass, and fitted in a high quality polyurethane frame. 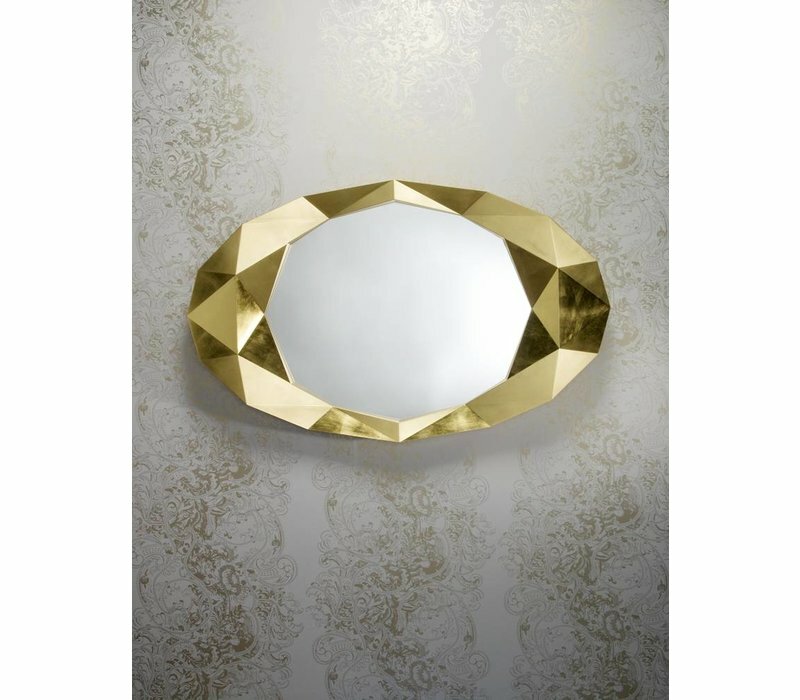 Precious, inspired by a jewel that glistens in the light, (wall 'jewelry'), features a faceted glass mirror frames, finished with gold or silver metal or white lacquer. 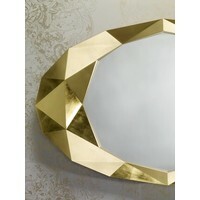 The slightly curved shape and tilted panels of the jewel-shape makes it easily stand out from the wall. 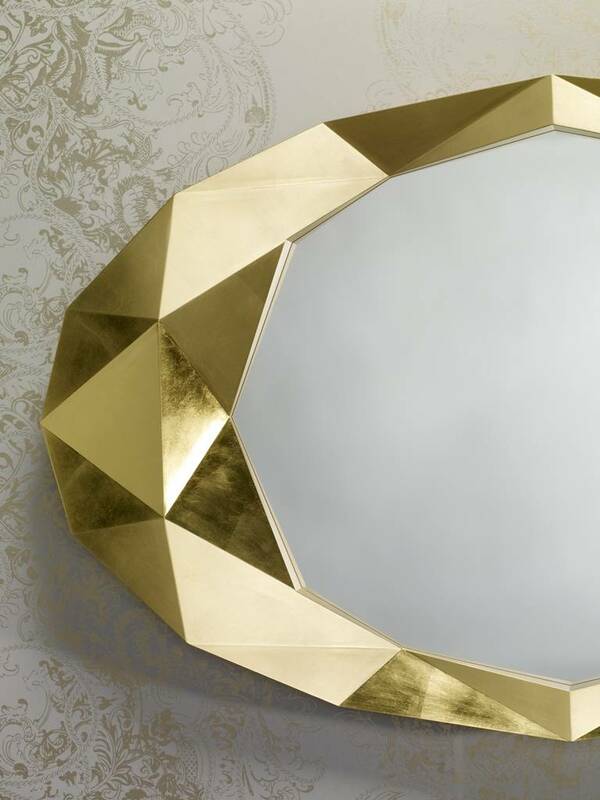 Since 1946, Belgium factory Deknudt Mirror Works have been making some of the most beautiful mirrors and eccentric mirrors in the world. 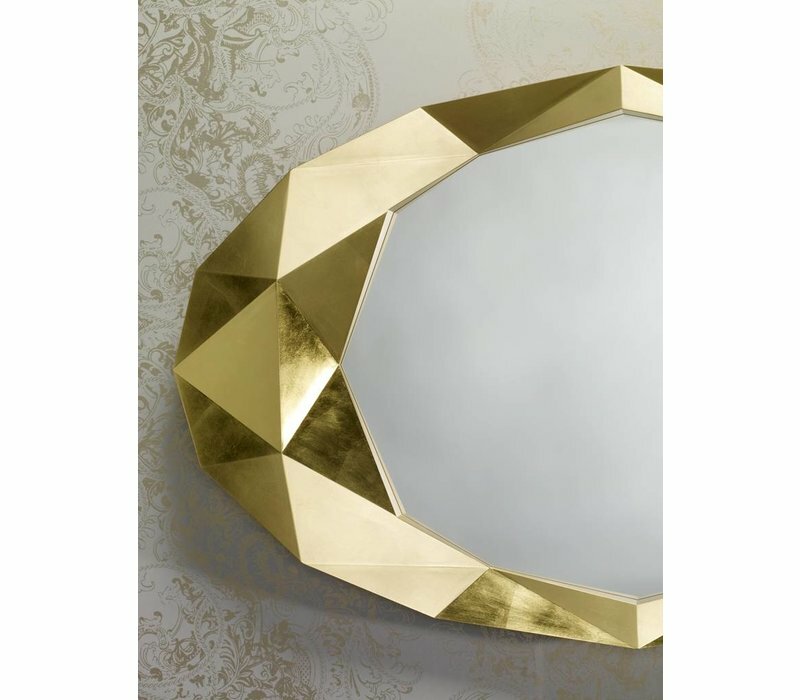 Their collections consist of a wide range of expertly designed mirrors, from a utterly unique home/wall mirrors to fancy hotel project mirrors. 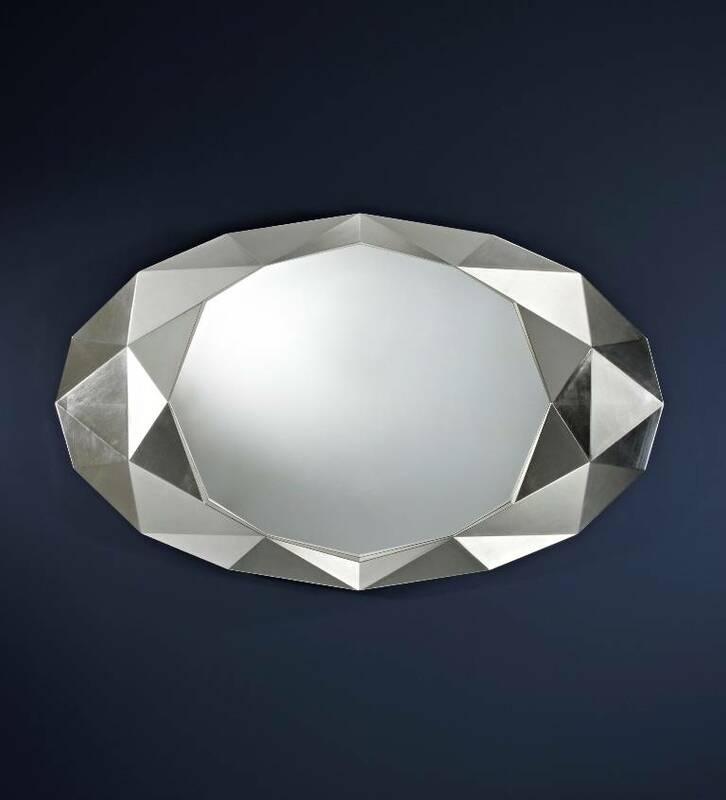 You are choosing the very best of quality and design when you choose a Dekundt mirror. 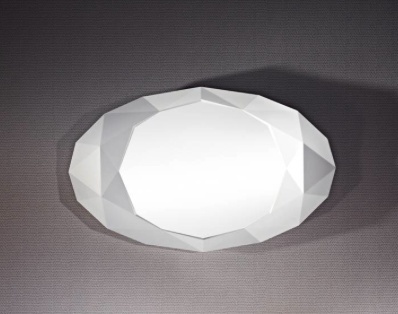 The 'Precious' wall mirror (and others) are on display in Deknudt’s showroom in Deerlijk, Belgium.